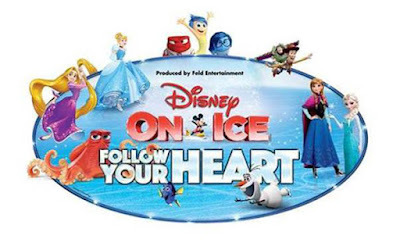 Been teasing these tickets for about a week now, "Disney On Ice: Follow your Heart" is coming to Souther California and Thisfunktional has some tickets to giveaway. This show will be at the Staples Center starting on Dec. 14 at 7:30 p.m. and Thisfunktional has some prime tickets. Disclaimer: Winners will be chosen. Contest runs to Dec. 10, 2017 midnight. No purchase necessary. Prize provided by H+M Communications. Only open to the U.S., no PO Boxes or international addresses. Only one entry per household. Entries on behalf of another person will not be accepted and joint submissions are not allowed. We will not accept entries of contestants who have claimed a prize in the last 6 months. Just keep swimming with Dory and new pal Hank from Disney•Pixar’s Finding Dory as they set out to find her parents and discover the devotion offamily. Cheer with Joy, Sadness, and the rest of the Emotions from Disney•Pixar’s Inside Out as theywork together to boost Riley’s spirit and win the big hockey game. Venture to wintery Arendelle whereOlaf and Kristoff help reunite royal sisters Anna and Elsa from Disney’s Frozen and learn love is the mostpowerful magic of all. See Cinderella, Rapunzel, Ariel and the Disney Princesses make their dreamspossible through virtues of bravery, kindness and perseverance. Celebrate true friendship with BuzzLightyear, Woody and The Toy Story gang. 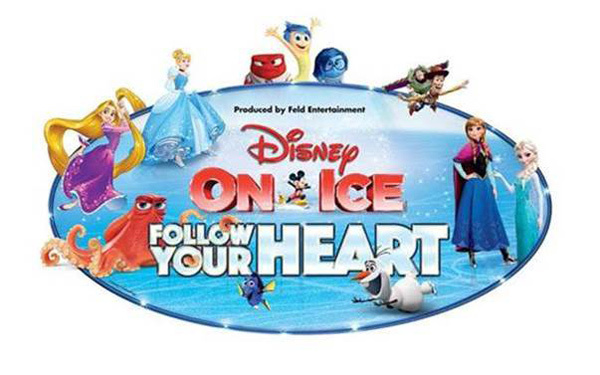 Make unforgettable memories with Mickey, Minnie and allyour Disney friends when Disney On Ice presents Follow Your Heart skates into your hometown! OPENING NIGHT TICKETS START AT JUST $15!